The anthropologist Sidney Mintz has died at the age of 93. It feels way too soon. I first heard of him in 1985 when I read a review of Sweetness and Power: The Place of Sugar in Modern History. I immediately ordered a copy, which he signed it for me much later. Sweetness and Power used sugar as an entry point into a critical analysis of social institutions, in this case slavery, race, class, and global capitalism. As he explained, the book continues to be relevant to those concerns as well as to today’s obsession with sugar consumption. Studying a single food or commodity such as sugar may seem like an incongruous project for an anthropologist who claims to work mostly with living people. Still, it is a rich subject for someone interested in the history and character of the modern world, for its importance and popularity rose together with tea, colonial slavery, and the machine era…How do we get from one child’s sweet tooth to the history of slavery, of war, and of corporate lobbying in the Congress?…These are the kinds of questions that have arisen in recent years. Alongside them are the shacks of the cane cutters, scattered in so many of the earth’s tropical corners, which deserve at least equal attention from anthropologists. When my colleagues and I started Food Studies programs at NYU, we considered Sweetness and Power to be the seminal work in the field. So did everyone else. 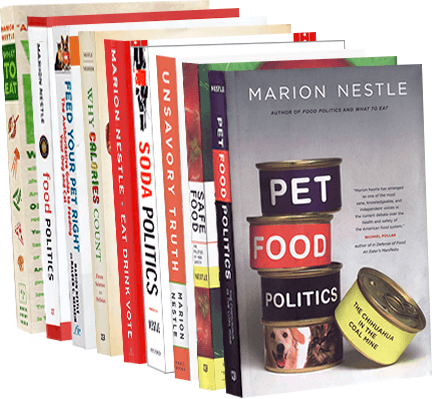 We polled academics working on food issues about what should be included in a Food Studies “canon”—a list of books that every student ought to master. Only one book appeared on everyone’s list: Sweetness and Power. I adored Sid. Whenever I ran into him at meetings, we talked about how much fun it would be to teach together. In 2004, we did—in Puerto Rico: The Bitter and the Sweet: Puerto Rico, Sugar, and Caribbean History. Sid was 82 at the time. He had done his anthropology field work in Puerto Rico half a century earlier and published this research as Worker in the Cane: A Puerto Rican Life History. He was still in touch with the children and grandchildren of the cane cutter observed in that book, and he visited with them while we were there. The University of Puerto Rico honored him. In Puerto Rico and throughout the Caribbean, he is a national hero. In 2007, I gave the Sidney Mintz lecture at Johns Hopkins (here’s my title slide). I loved visiting with him and his wife Jackie whenever I could. They were in New York for a speaking engagement early in 2009 and my partner, Mal Nesheim, and I had arranged to take them to dinner at Blue Hill. What an evening that was. We had to talk our way through vast crowds and a police barricade around the restaurant. The newly elected Obamas, it seems, had picked Blue Hill for a date night in New York. We were seated at the next table (but not introduced). Whenever I talked to Sid, he told me about his speaking invitations all over the world, his new book projects, and his increasing collection of honors. Here’s Sid in action at NYU in 2012. I know I’m not the only one who treasured knowing him and will miss him. But this feels like such a huge loss.